This went on the balcony of a spa with a sofa and looks great and is holding up outside beautifully. Escape to your very own Caribbean paradise with the St. Barths outdoor coffee table by Panama Jack. 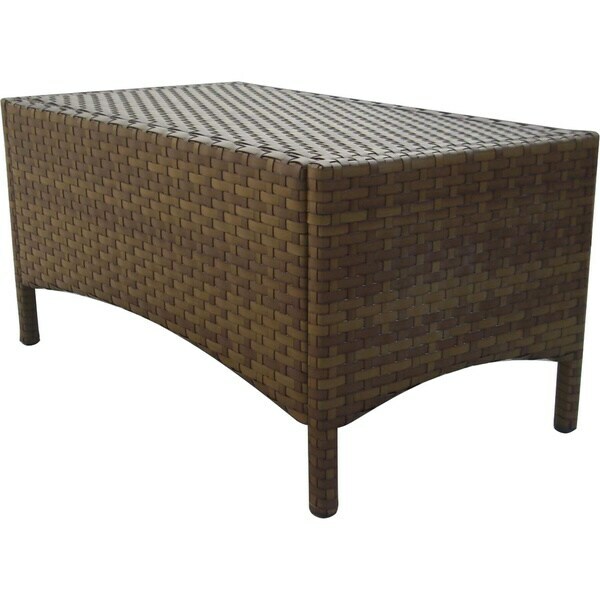 This stylish and high-quality table incorporates an extruded aluminum frame with an exclusive thick woven wicker fiber, making it strong and durable. table wobbles a little. color is not quite as dark as I wanted, but goes well with my other patio furniture. Great coffe table for smaller spaces.